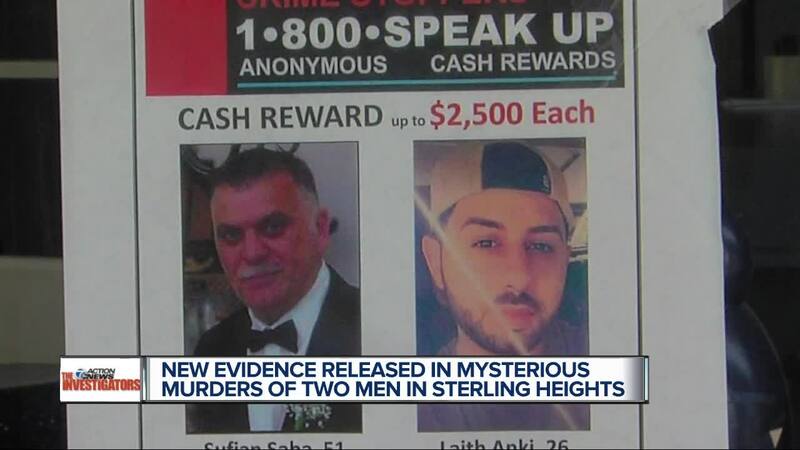 Two men murdered inside their small business, known as Laith’s Candy Land in Sterling Heights. Months later, police are asking for your help. Fifty-one-year-old Sufian Sam Saba was shot to death back in November of 2017 and five days later his business partner, 26-year-old Laith Anki was also killed. The location is secluded. No retail business brings in a regular flow of customers. There are surveillance cameras, and we’re seeing those pictures for the first time. But police are also missing critical pieces of the case. Were these two murders motivated by a business connection or family? “There’s a lot of speculative fog surrounding this,” says Captain Jeff Bonner of the Sterling Heights Police Department. He also says people are cooperating. In one set of surveillance pictures, you can see two men and a vehicle in daylight. Five days later the second set of pictures shows what could be the same two men and a different vehicle. Saba was killed in the morning. He was found by Anki. Anki was found shot to death five days later at night. The maintenance man at that commercial property helped clean it all up after both murders. Police say no one else is in danger; this was not a random attack. And there are no known eyewitnesses. “Somebody knows something that hasn’t dawned on them that it was pertinent or somebody’s going to have a change of heart and share something they haven’t shared with us yet,” Captain Bonner said. We contacted the families, and they declined to comment except to say they support the police to solve this case.